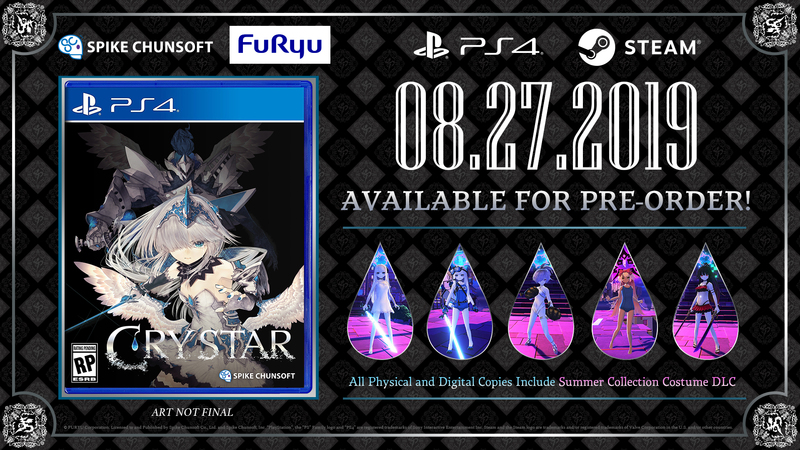 Spike Chunsoft has officially announced that developer Furyu’s previously Japan-only title Crystar is coming West on August 27, 2019. 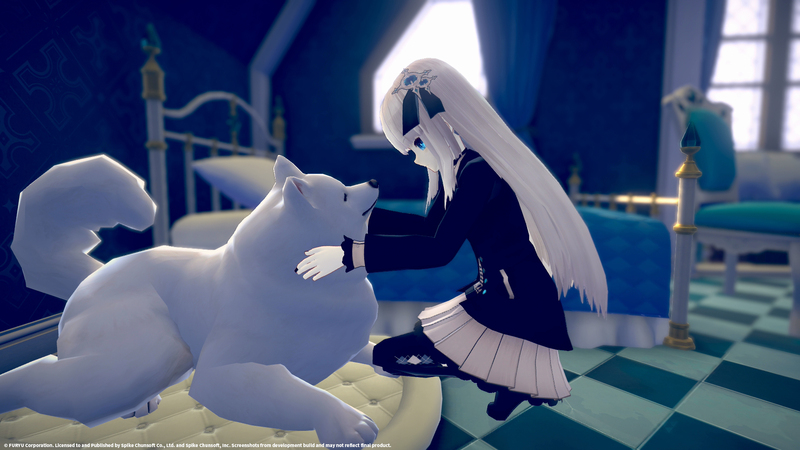 I sat down with the Spike Chunsoft PR team and the Director/Producer of the title, Furyu’s Fuyuki Hayashi, at GDC ’19 and was given a first hand look at the game while Hayashi-san played through it and chatted with me, with an interpreter of course. I really need to learn Japanese. 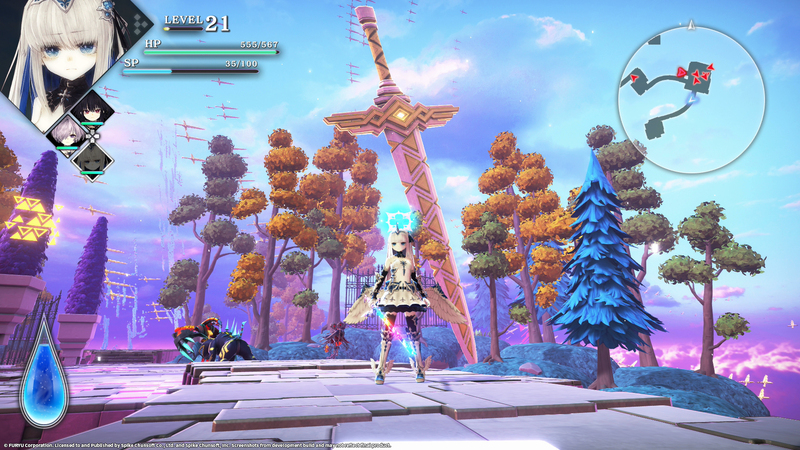 Crystar is a story-driven action RPG that follows Rei, a young girl tormented by the death of her little sister Mirai, which she is responsible for. Both girls are dragged down into the afterworld of Purgatory, where Rei unlocks her inner powers and accidentally takes the life of her sister. Two demons console her and ask her to return the tears of wandering souls and in return they will bring Mirai back to life. She makes the deal with the Devil and she embarks on her journey. It’s a dark tale of death, sin, purgatory, and tears, told in a beautiful art style. The game is split into two main distinct areas: Purgatory and Reality (your room). Purgatory is pretty much where all of the action takes place and reality is where you’ll gather your armor and skills and view collected items. As you fight and defeat enemies in Purgatory, their last dying words are collected as Torments, which can then be purified back in reality by your tears. Once purified they turn into Sentiments which are upgradeable skills and armor. It looks to be a pretty deep RPG system, and with eight levels of Purgatory, a decent game length of 30-40 hours is expected. While watching Hayashisan play through Crystar, the first thing I noticed was that the game wasn’t turn-based. The action was instant and fast paced, with no waiting around to see what the enemy will choose to do. I wouldn’t exactly call it a hack and slash, but some might if they didn’t understand the underlying mechanics. There are four playable characters you’ll eventually unlock, and once you have them, you’ll be able to hot swap between them in battle. Each of the four characters have their own strengths and weaknesses and learning which one works best in specific situations will be key to defeating harder enemies. One cool feature with this system is that each character has their own independent health bar, so if one of them are near death, you can swap out to another with full health while the wounded character slowly regenerates her health in the background. It’s almost like having unlimited health if one can manage the girls properly in battle. As you beat up on the bad guys and gals, you’ll fill up a tear gauge, which when full, will allow you to summon that character’s Guardian. The actions of the guardian will be determined by your current character’s state of health. If you are somewhat full, the guardian will strongly attack the enemies and assist in defeating them. If you are near death or hurt pretty badly, the guardian will protect you by shielding you from further damage while you heal. Each character has their own unique guardian and it’ll be cool to see them all once the game is released. The art style for the game is very beautiful and polished and will support 4k and HDR for you PS4 Pro players. Each of the four main playable character designs are based off of precious gemstones and are incredibly detailed. With the large amount of crying in the game, the developer paid special attention to the eyes of each character and added extra details around them. Purgatory looks more like a dreamworld than Reality, with its shadow building mixed in with detailed enemies and battlegrounds. We added plenty of screenshots below so be sure to check all of them out. The game is set to release in late summer, but is already fully polished thanks to the previous Japanese release. Special thanks to Mimi Saito and Hiroya Watanabe from Spike Chunsoft for taking the time to sit with me and show off this beautiful game with Hayashisan. Watanabesan was indispensable with his translating skills.